Last week attending the Horse Feathers concert at the 7th Street Entry was amazing! There are certain bands that when I see them live, it is almost like I am discovering their music all over again, which is exactly what happened. I'll expand on this more when I get the videos I shot uploaded. Before the show, I made my traditional rounds of the venue scouting out posters for upcoming shows to see if there were any I wasn't aware of. 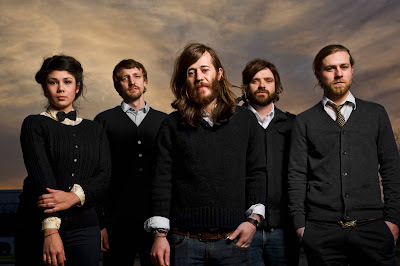 I was excited to see that Other Lives will be coming July 19th, opening for The Rosebuds. I believe this will be another 'rediscovery' moment. From Stillwater, Oklahoma, they were initially an instrumental band called Kunek. 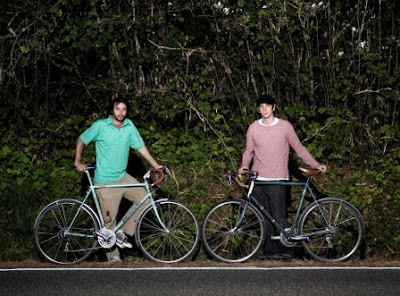 After one album, they decided to add vocals to the mix, changed their name to Other Lives, and released their first, self titled, full length album in 2009. "Don't Let Them" is the song that got me hooked. Then in May of this year, they released their second full length, Tamer Animals, which is where you will find both "Dust Bowl III", as well as "For 12". So glad they decided to add vocals! I will be contacting them this week, as I'm hoping this is a good opportunity for me to do my first official 'interview'. If it works out, I will post a complete write up along with any video I am able to get. Having been held on and off since 1998, tomorrow marks the 4th straight year of Rock the Garden, a mini, one day music festival organized by the Walker Art Center. Since 89.3 The Current became a sponsor in 2008, it has become more of an 'indie rock' festival with performances from names such as Bon Iver, The New Pornographers, Andrew Bird, and The Decemberists. This year is no different with Neko Case and My Morning Jacket taking the stage. What is cool is that they have also worked in local acts like Cloud Cult, Solid Gold, and Retribution Gospel Choir whom I posted HERE in May. This year will be Tapes 'n Tapes. Formed in 2003 at Carleton College, they released their first full length, The Loon, in 2005. This is where you will find "Cowbell". I love it when music seems a little raw and disjointed, which sums up "Cowbell" to me. There are a few other songs that really stand out to me on this album, like "Just Dreams", "The Illiad" and "10 Gallon Ascot". Initially a self released album, The Loon was re-released when they signed with XL Recordings. With this re-release they gained some popularity, part of which was their song "Insistor" being used in the film Nick and Norah's Infinite Playlist. Then in 2008, they released "Walk It Off". It didn't get as good of reviews as their first. Many thought they mellowed out too much, and lost a bit of their edge. I don't think it is too far off from what they did on their first album, but it did lose some of the 'disjointedness' that I loved on the first. "Headshock" is a good example of this. Another song to check out is "Hang Them All". This year, they released Outside, their third full length. To be honest, it is sitting in a stack of other music I haven't had a chance to get on to my computer, but I'll get there eventually. After listening to snippets of the songs on itunes, I'd say it takes another step away from the sound of The Loon, but it is still definitely Tapes 'n Tapes. All I can say is that, "I need more cowbell!" This marks my first post under my new 'refocusing' of the blog, and I can't think of a better band to do this with than Horse Feathers. Over the years, I have purchased a lot of music. In fact, probably too much music as I am incredibly backlogged. I have music I purchased 3 years ago which I have yet to listen to. Many would think that I have a problem. An addiction to music, which unfortunately (or as I view it, thankfully), there is no cure. I simply cannot get enough. For me, that has created some of the fun. I come across artists sometimes almost by mistake. I say mistake, because being as open minded as I am, I take a lot of chances on albums most people would overlook. 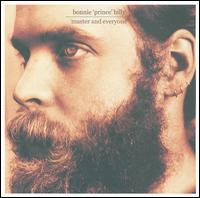 This is how I came across Mason Jennings' Century Spring and Bonnie 'Prince' Billy's Master and Everyone. Take a look at these covers. My thought process at the time was, "How could I not like these?" Today, they have become two of my favorite albums. Ones I can listen to over and over again, and two that I recommend without hesitation. After coming across their debut album, Words are Dead in 2006, I was hooked, and was ecstatic of this 'find'. However, in this instance, it wasn't the cover that got my attention, but instead, it was the name. Horse Feathers. This sounded like something right up my alley. Started by Justin Ringle, a solo artist based in Idaho he started playing under the name Horse Feathers after moving to Seattle. This is where he teamed up with Peter Broderick who brought in the strings (another artist worth checking out by the way). After listening to their debut album on repeat for months, and it still being in regular rotation today, I have fallen in love with the entire album, two songs in particular: "Blood in the Snow" and the above link "Finch on Saturday" which is one of the most played songs in my library. With some bands, I get a little concerned, not knowing what to expect on the follow up. 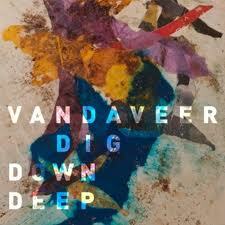 I love when bands branch out and try new things, but having fallen in love with the first album, I wanted more of it. In 2008, they released House With No Home. The opening track, "Curs in the Weeds", set the tone, and showed me they hadn't strayed too far. 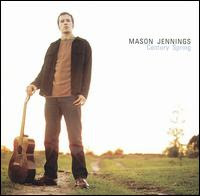 They would continue with their beautiful string arrangements and as James Monger on allmusic.com states, Justin Ringle's "I can't open my mouth all the way, mumble." Unfortunately with this album, I was unable to catch their show at the Cedar Cultural Center. Something I vowed to not let happen again. On June 23rd, they will be coming through town again, playing the smaller 7th Street Entry in Downtown Minneapolis. It's been a little while since their last release, Thistled Spring, which came out in April of last year, but from the looks of their Twitter posts, they have a new one in the works. 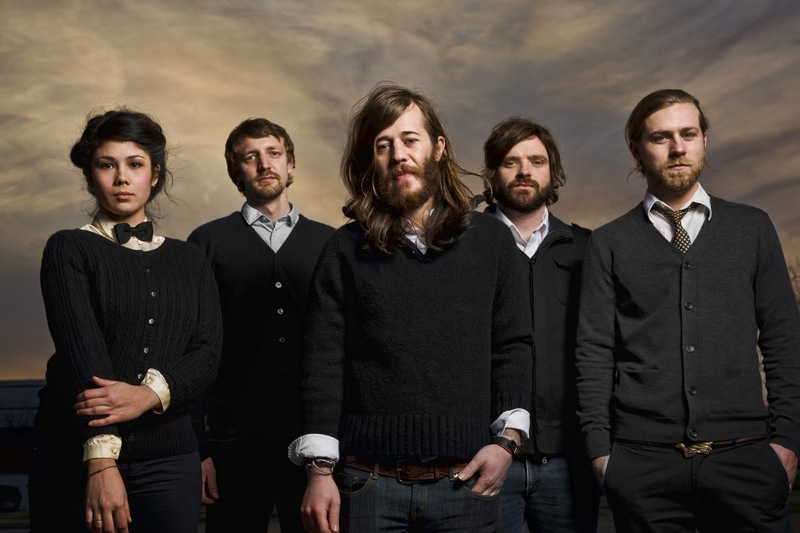 As is true with their second release, they didn't stray far from their sound, which is evident in the above video, "Belly of June". This is fine with me, but I'm excited to see if they change things up for their 4th release. I highly, highly, highly, encourage you to go to this show. Well worth the $12. Today marks the 200th day of doing this blog, with this being Post #200. During that time frame I have posted approximately 260 songs from nearly 200 artists. For those of you that know me, I don't need to explain how much fun this is for me. I've enjoyed every second. Especially since with each day, each post, and each change or evolution, it brings me closer to realizing an even bigger dream. I felt day #200, would be a good time to take the next step. The whole concept behind this blog is that I have a relationship with the bands and music that I listen to. A relationship that I have compared to dating, or possibly even marriage. Well, it hit me on Wednesday evening after the Iron and Wine show, that I want to focus more on the relationship aspect. Prior to the show, I was eating a Breakfast Burger at The Depot. With food in my mouth, I turned around to find Josiah Johnson, one of the vocalists for opening act The Head and the Heart, standing behind me. A hello, a handshake, and a compliment led to us having a 20 minute conversation about various topics: record labels, album sales, album reviews, and a bands interaction with their fans. We continued the conversation after the show which is when it happened. "This is what I want to do". Going forward, my main purpose will still be intact, which is to introduce you to artists. But I'm dropping the once a day concept. There have been days I felt rushed to post something, and other days, like after a show, where I would have loved to post multiple artists but felt I couldn't in order to maintain the format. If you were actually going to be 'dating', how could you possibly date one person a day every single day. That is too much. I feel that me posting one artist a day has almost cheapened that relationship. On top of that, after speaking with Josiah, how can I justify only posting a couple of their songs, or only posting them once. I want to do more. They deserve more. With that being said, I am looking for feedback. - What have you liked about the blog? - What changes would you like to see? - If you don't visit this blog regularly, what would cause you to do so? In appreciation, I will have a drawing on July 1st for anyone that leaves legitimate feedback as a comment on this post. I will pull 15 people at random and gift them a copy of the debut, self-titled album, by The Head and the Heart, on itunes. I will also draw 1 name for a pair of tickets to their upcoming show at the Varsity Theater on August 7th. Please include your email in your comment and feel free to pass this on to your friends as well. This blog has been my first step into this world of music and I will continue to make steps forward and further into this passion I have for the music and the artists I love. And hopefully along the way I can help you create relationships of your own with new music. Post #198: Copenhagen Collaboration - "Funeral" and Alcoholic Faith Mission - "Running With Insanity"
Post #198: Came across this on Twitter today. Not only was I excited because it is such a great cover of a Band of Horses song, but because the Copenhagen Collaboration is made up of 10 bands based out of Copenhagen. A lot of new music for me to check out. The ten bands are: Sleep Party People, CODY, Hellraiserten, Alcoholic Faith Mission, My Name is Legion, Staerosaurus, Before the Show, Monkey Cup Dress, From Sarah, and The Ondt and the Gracehoper. If you visit their website, there is a media player where you can listen to a song from most of the bands. After listening to the first few, I'll definitely be checking out the rest. My favorite from their website playlist is "Running With Insanity" by Alcoholic Faith Mission. And if you haven't had a chance to check out Band of Horses, you can visit my posts HERE and HERE from January. Post #197: Dawes - "So Well" and "Million Dollar Bill"
Post #197: Every once in a while, I come across a band that blows me away in concert, and that is exactly what Dawes did to me when I saw them open for Cory Chisel at the Triple Rock in Minneapolis over a year and a half ago. I've had the opportunity to see them one more time since, at First Avenue, which at the time was the largest crowd they had ever played for at a venue. Hands down, they put on one of the best live shows I have ever seen. So much energy. So much passion. You can tell they are having fun. Their second release, Nothing is Wrong, came out today, and needless to say, I have been very excited for this one. This is where you will find both "So Well" and "Million Dollar Bill"
After that first small show at the Triple Rock, I knew I had witnessed something special, and made the prediction that they will be 'the next big thing'. I'm excited to see them gain popularity, but a part of me will miss that feeling I had at the Triple Rock, of having discovered something amazing. Something that I'm sure most of their fans felt during their first experience as well. Post #195: The Submarines - "Brighter Discontent" and "1940"
Post #195: I will be leaving shortly for the Brett Dennen show at the Pantages Theater in downtown Minneapolis. I had the opportunity to see Brett play at the Varsity Theater a couple of years ago, so I know what to expect. It is pretty safe to assume that I won't be let down. Tonight will also bring the opportunity to see The Submarines, whom I was not familiar with until I saw them as being the openers. John Dragonetti and Blake Hazard were working as solo artists in Boston when they were introduced by a mutual friend. After dating for 4 years, they broke up, only then to take a different direction than most failed relationships. They decided to try writing music together which led to their 2006 debut album, Declare a New State!. This is where you will find "Brilliant Discontent". (Be patient as their is about a 50 second intro to the video). 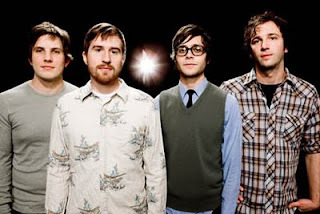 They would go on to release an EP, and two more full length albums, their most recent Love Notes/Letter Bombs, being released in April of this year Their music would also be featured in TV commercial spots, soundtracks (like Nick and Norah's Infinite Playlist), and a guest spot doing the "Little Boxes" theme for the show Weeds. You can find "1940" on their 2008 release Honeysuckle Weeks. The Submarines, "Brighter Discontent" and "1940"
Post #194: Adele - "Rolling In The Deep" and "Hometown Glory"
Post #194: Last week, the fans of Adele with tickets to her May 26th sold out show at First Avenue got some sad news, when she had to cancel the performance due to laryngitis. The list of disappointed fans grew yesterday when a week after canceling the Minneapolis show, she ended up canceling her entire North American Tour based on advice from her doctor. I'm sure her fans won't hold this against her as it seems they absolutely love her. It is quite impressive how quickly she has gained popularity, especially when you consider how it all started: She posted a 3 song demo on Myspace, which received attention from XL Recordings whom would ultimately sign her. Earlier this year, she released her second album, 21, which debuted at #1, and includes the song "Rolling in the Deep". Prior to that, in 2008, she released 19, which is where you will find "Hometown Glory". She sure has come a long way. And I'm sure the disappointed fans think she is well worth the wait. Adele, "Rolling in the Deep" and "Hometown Glory"
Post #193: RED - "Feed the Machine" and "Breathe Into Me"
Post #193: RED will be hitting Station 4 this Tuesday along with Red Jumpsuit Apparatus. "Feed the Machine" is the opening track off of their newest release, Until We Have Faces, which was released in February of this year. In this video, the artist, Mark Palmer of Red Chapter Clothing, creates an ambigram of the songs title: art work that can be read forward as well as backwards and upside down. Pretty cool. I had a chance to see these guys open for Sevendust back when they toured in support of their first album, End of Silence, which is where you will find the single, "Breathe Into Me". They put on an over the top performance then, which was at the Myth. It will be great to see how they perform at a venue like Station 4, which isn't much bigger than my basement. RED, "Feed the Machine" and "Breathe Into Me"
Post #191: After actively using Twitter for the last month or so, I have fallen in love with it. Since I don't have time to surf the internet all day for music news, Twitter has been a great resource. Being able to follow my favorite artists, other music bloggers, magazines and other music press outlets, allows me to see news and information that I would otherwise miss. That is how I came to find out about Weezer covering Radiohead's "Paranoid Android". I absolutely love this cover! If you are unfamiliar with this song, you can find it on my favorite Radiohead album, their 1997 release, OK Computer. The timing of this video is perfect as it was just announced that Weezer will be stopping by the Minnesota State Fair on September 3rd. Tickets go on sale Friday, June 10th. Looking into things a little further, you can find Weezer doing some other great covers including one of my favorite Green Day songs, Brain Stew. Late this last year, Weezer was pretty busy releasing their 8th album entitled Hurley, as well as a compilation entitled Death to False Metal, which was made up of tracks throughout the bands career that never made the cut on previous albums. Weezer, "Paranoid Android" and "Brain Stew"